iCrosss Lite is a free version of popular and unique educational application iCrosss which will help you learn solid geometry in an easy and funny way. 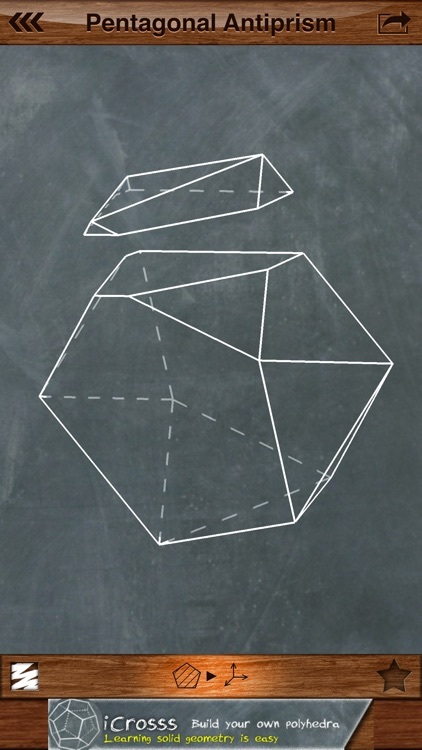 iCrosss allows you to build a cross-section of each available polyhedra by your defined plane. 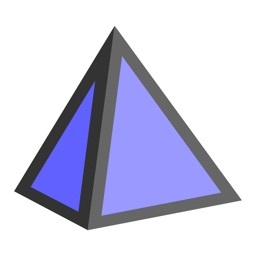 The plane can be defined by three points (taps) on polyhedron faces. 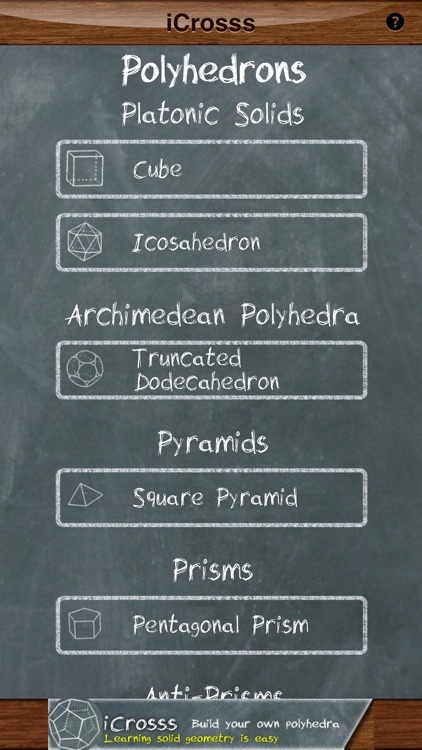 The application supports such kinds of polyhedra as regular polyhedra (Platonic solids), Pyramids, Prisms, Anti-prisms and Archimedean solids and duals. 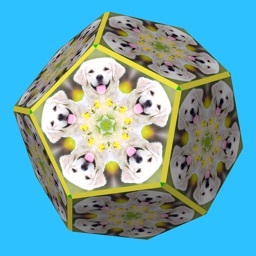 Polyhedrons are displayed in 3D representation, which allows you to rotate it in any direction. Cool chalkboard drawing style and fonts were used for awesome look’n’feel. 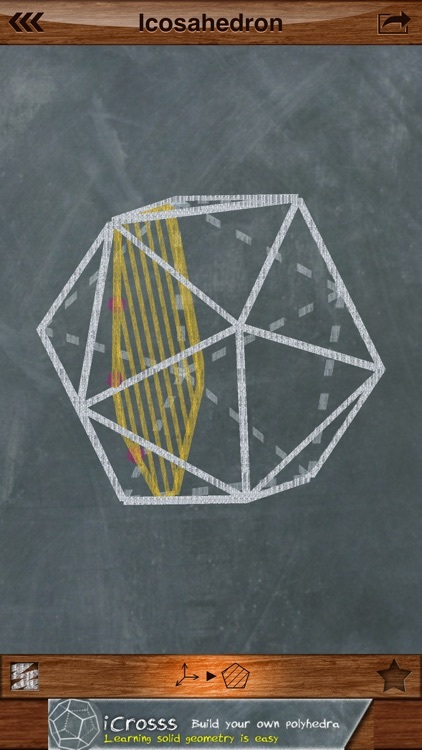 To build a cross-section you have to put three points on polyhedron faces in order to define a section plane. There is two view modes that you can use for better cross-section experience: 3D mode and 3D cut mode. 3D cut mode is available only when you have already built cross-section. 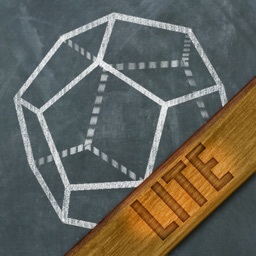 In this mode you can choose one of two solid pieces of initial polyhedron to continue work with. 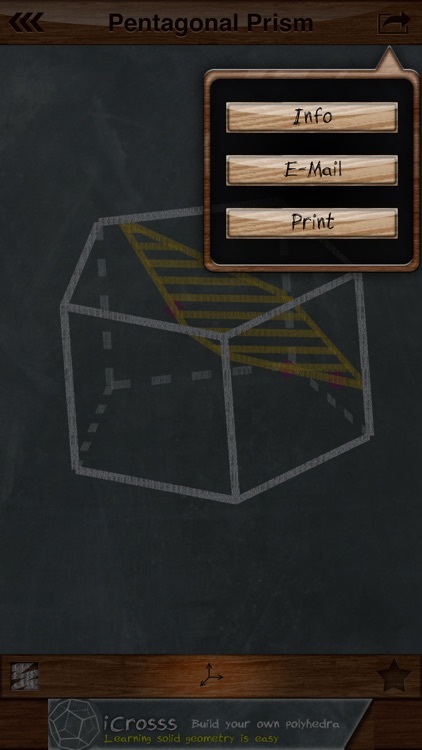 Available option for printing and sending via e-mail of the polyhedron or its section. 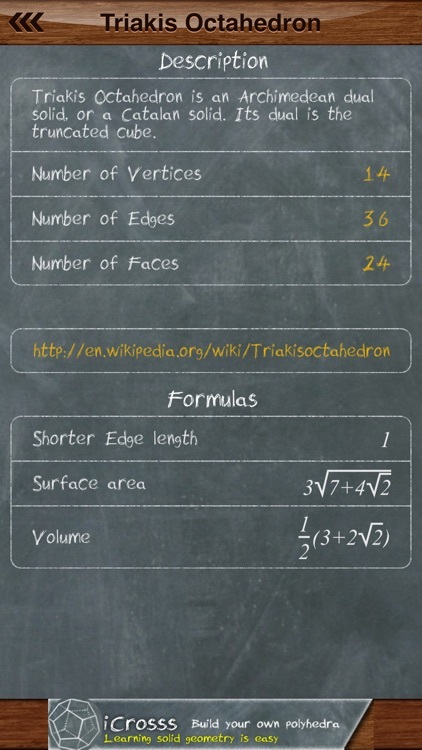 You can access information regarding selected solid, which includes short description, number of faces, vertices, edges, web-link for more information and useful formulas. 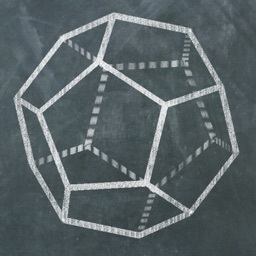 Polyhedra are organized in simple list divided by categories. A tutorial mode was designed for quick understanding. It will take you through the general application features. 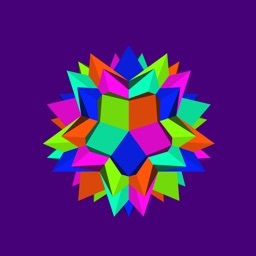 You can get access to few more polyhedra by making a post on your Facebook page. To display formulas custom rendering engine was developed. 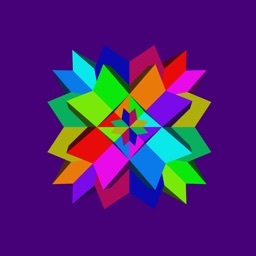 It visualizes a LaTeX formula format.